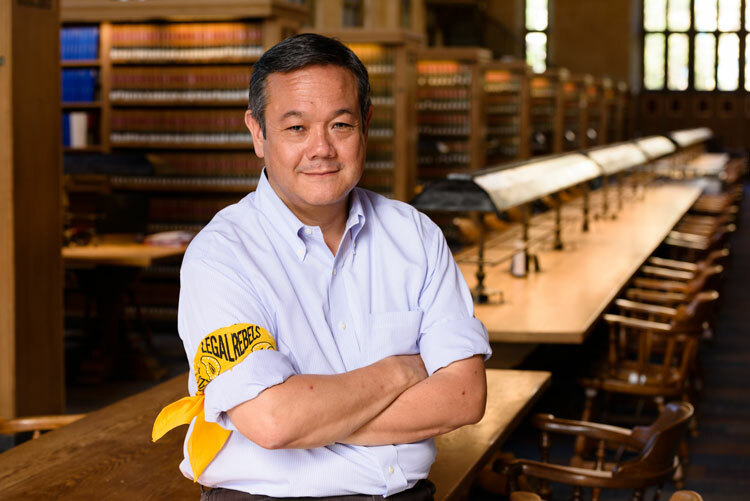 From the late 1980s to mid-2000s, Cornell Law School professor Charles Kenji “Chuck” Whitehead was steeped in BigLaw securities and deals work. He also had top leadership positions as a hybrid banker and a lawyer in big finance companies involved in venture capital and securities. Then he decided to do what he had an eye on years earlier as a student at Columbia Law School—teach. From a teaching fellowship at Columbia, he moved to Boston University School of Law. While there, a semesterlong visit at his undergrad alma mater, Cornell University, convinced him to move a semester later to Cornell Law. Now, Whitehead, 55, has put his nonacademic experience to even greater use, bringing LLM students into the mix last year at Cornell Tech, a New York City-based, Silicon Valley-style incubator in technology and entrepreneurship. Cornell Tech already had advanced students in business, computer science and engineering, as well as experience in wielding big data in analytics and machine learning. In addition to hands-on projects, “we’re teaching them black-letter law but in a level of detail you won’t see in law school,” says Whitehead. He left Sullivan & Cromwell in his fifth year and soon was managing director and general counsel for Nomura Securities International in New York City and then managing director and senior counsel for Nikko Salomon Smith Barney in Tokyo, helping to create a new business from the ground up. The program has its law students advising on startup products and participating in their development. His inaugural class of 12 LLM students graduated in May. Whitehead and other Cornell Tech faculty teach classes. But he also brings in seasoned lawyers from some of the top law firms doing venture capital and tech startups. They include “people who are current in the practice and not coming to tell war stories but to speak to issues that come up and how deals are structured to address these issues,” he says. LLM students played significant roles in two product developments: a smartphone app that eliminates the record-keeping hassle in getting value-added tax refunds in airports abroad (typically unclaimed funds that default to governments, which have pushed back on the technology) and Buddy Bear, a toy with a built-in camera that analyzes facial expressions and uses emoticons to instantly show children with autism what emotion is involved. Whitehead says 300 to 400 people expressed interest in the program and, from about 100 formal applications, he selected the dozen to launch it. “I interview every prospect for an hour or more,” Whitehead says. Prospects get two questions 24 hours in advance—one is hypothetical and the other is to pitch their own startup concept.